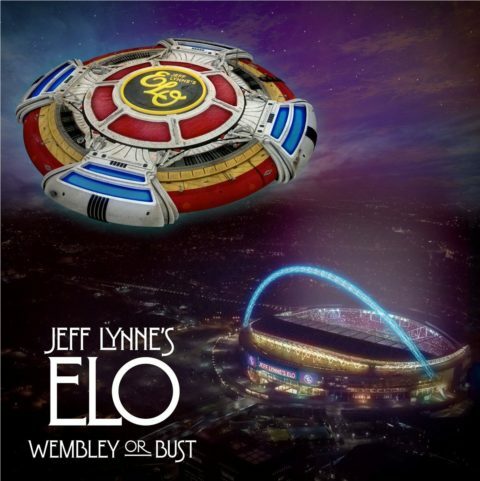 Sony/RCA will release Wembley or Bust in November, a new concert film of Jeff Lynne’s ELO playing live at Wembley Stadium in June this year. As you would expect, during this stadium gig “Jeff Lynne’s ELO” played all the classics, such as Mr. Blue Sky, Livin’ Thing, Telephone Line, Don’t Bring Me Down and Evil Woman, as well as tracks like the Traveling Wilburys‘ Handle With Care and When I Was A Boy from the recent Alone in the Universe long-player. There are plenty of formats, including 2CD+blu-ray, 2CD+DVD, 3LP vinyl and a two-CD set. Wembley or Bust will be released on 17 November 2017. Very flat sounding, like watching a basic TV show. Not good. Not good at all. I am curious – been listening to the concert on Apple Music – just happened to pop up so gave it a listen. Does the CD have the fades and silence between the songs? It’s more like a compilation of live tracks rather than a concert recording. Yes the CD’s are exactly the same which is a disgrace. It keeps me in mind of a live Then Jerico album i bought nearly twenty years ago which had the same problem between the songs and was very annoying. The thing that amazes me are people are giving this glowing 5 star reviews which makes me wonder if they actually listened to this or are they deaf ? I hope this isn’t the start of a trend releasing Blu-ray concerts without a 5.1 mix because A-ha did it a few weeks back and now this. In hindsight i’m glad i never bought ELO not just because of the absence of the 5.1 mix but i have been reading reviews saying that the sound quality is very poor on the Blu-ray and the CD’s. I was really looking forward to watching the Blu Ray last night after it was delivered by Amazon. Popped it in the player only to realise there is no 5.1 surround only stereo. I can’t enjoy a concert like that so won’t be watching it and it will be resold on Amazon. I am so upset. Is it non-stop concert, or are there interviews, backstage bits, behind-the-scenes stuff, etc.? Yes, there’s all of that, so it’s not non-stop concert. I know some people dislike that, but I think it worked quite well. I’m curious to know why Jeff never includes “Diary of Horace Wimp” on his concert setlists. Anyone know why? Thanks for the update Rob re sound format, very disappointing it is only going to be stereo sound, I think I will be sticking with my Hyde Park DVD. Jeff has always been one of my faves but I am baffled as to why he objects to 5.1, especially for a live disc. It’s not like you’re actually hearing stereo when you’re at a concert (unless you’re lucky enough to sit in the sweet spot and the mix is actually stereo). Odd. @Rob, can you expand on what nice things are on the horizon? @Rob: can I please have my copy of The Move “Anthology” box set that I paid you for nearly 10 years ago and still haven’t received? That double Secret Messages would be nice to see. It’s 27 years since people were teased with some of the missing tracks! At least there`s a CD/Bluray combo, thanks Otis. Scott that is a good point you have made regards 5.1 sound, it would be criminal if this isn’t surround sound. I’ve looked everywhere to try and find more details but nothing at all is mentioned about the sound format on Blu-Ray/DVD, which is a bit worrying. Well I hope the Blu-ray is 5.1 this time. The BBC Hyde Park with orchestra was Stereo only and although the orchestration was fantastic the sound was not up there with most Blu-ray concerts I have. I’ve pre-ordered it. Nice to see Jeff use cellos and a violin again. Last time I saw ELO in concert (in the early 80’s), he did away with the two cellos. No much of an “orchestra” sound at this point. But he did a great medley tribute to John Lennon. with “beatles forever” and good “deluxe editions” of “time” and “discovery” ! the “discovery” re-release of 2001 has only 4:30 minutes bonus material ( with 3 ‘tracks’ ). 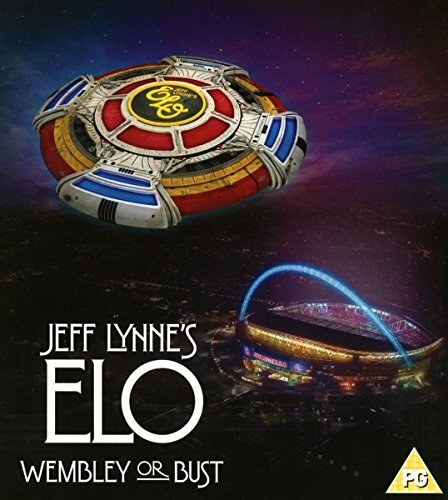 I’d love all that too Daniel, however I don’t think Jeff has much affection for the ELO vault considering he re-recorded a whole album’s worth of past glories recently. “Afterglow” (1990) and “Flashback” (2000) had some decent out-takes included with the hits and as the anniversary of “Secret Messages” has passed it’s becoming less likely we’ll see an expanded reissue. It would be nice though wouldn’t it? I’ve read that Lynne dropped beatles forever from the intended double album for secret messages, because he became friends with Georges harrison and felt a bit embarrassed by the song. Afterglow has the better outtakes IMHO, but doesn’t sound as good as Flashback. Looks like a must have for me. On a related note….Stephen Stills does a cover of Handle With Care on his new album with Judy Collins. It’s pretty different but great! This looks very impressive and a sensible pricing strategy all round. Mr McCartney take note! A more complete setlist than in “Hyde Park”, but unfortunately still no “Hold On Tight” or “Rain Is Falling” or nothing from “Balance Of Power”. But Xanadu and Rockaria are very welcome inclusions.